All events for Book Sale in the Blue Door Book Shed! November Shed Sale on two back to back weekends: Friday, Saturday and Sunday, November 2, 3, & 4 and Friday and Saturday, November 9 & 10 from 9 to 4 each day. 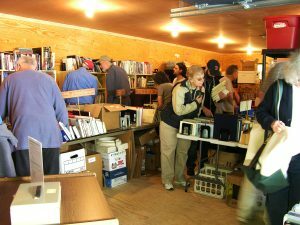 At the shed, library volunteers will have over 3000 books across more than 20 categories, plus DVDs, CDs, and AudioBooks for sale. All sales support the Camden Public Library in buying new books for the collection, and other operating expenses. Thank you for your ongoing support!